Nigel Potts has become renowned worldwide as “a consummate musician who knows how to communicate the essence of [the] music” (The American Organist), and whose “playing is assured and stylish” (Organists' Review, UK). He has built a reputation for his expressive, colorful and tasteful performances, always communicating and placing the music at the forefront with “…warm, sympathetic playing” (Choir & Organ, UK). Critics are consistent in their remarks about his unique “sense of expression which never cloys” (The Sydney Organ Journal, Australia); “broad command of tonal color” (The New Mexican, USA); “gift for extracting melody, highlighting the phrase and his exactitude in exploiting the vast palette of the tonal colour” (Organ News, New Zealand); and the way in which he uses the organs “extensive resources with imagination and taste”. (The Journal of the Association of Anglican Musicians, USA). 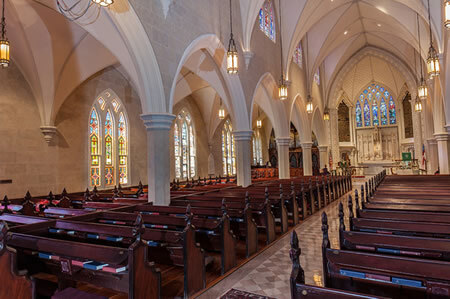 Nigel has been Canon Organist & Master of the Music at Grace Church Cathedral in Charleston since the fall of 2015. There he directs all the choirs, a concert series and oversees all aspects of the music in one of the largest Episcopal parishes of the South East. 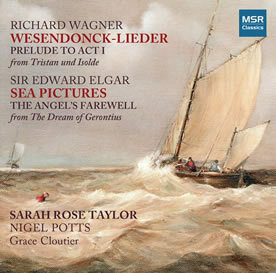 Nigel recorded his transcriptions of Wagner’s ‘Prelude to Act I’ of Tristan und Isolde, the Wesendonck Lieder, Elgar’s Sea Pictures and ‘The Angel’s Farewell’ from The Dream of Gerontius on the Schoenstein organ at Christ & St. Stephen’s Church in New York City, with Mezzo Soprano, Sarah Rose Taylor for MSR Classics. Potts elicits a wide range of dynamics and detail from the organ. (His) transcriptions give a more operatic resonance to the songs and are remarkably successful in capturing the colors and nuances of the orchestral versions of the Wesendonck Lieder and of Elgar’s Sea Pictures vocal settings...its repertoire tastefully and compellingly performed. Recommended. FANFARE 2015. See the Review page for more quotes. Nigel premièring his transcription of Wagner’s 'Prelude to Act 1' of Tristan und Isolde at The Cathedral of Saint John the Divine. Additional YouTube links can be found on the 'Audio' page. Nigel and Jack Bethards of Schoenstein & Co. discuss and demonstrate the remarkable expressive qualities, colors and flexibility of the 15 stop, 17 rank Schoestein & Co. Pipe Organ at Christ & St. Stephen's Church in New York City. The 'NIGEL POTTS TRANSCRIPTION SERIES'! Morning-Star Music publishers many of Nigel's transcription including: Handel's Overture to ‘The Occasional Oratorio’, Rachmaninov's Vocalise and others by Purcell, Bach, Mozart, Liszt, Elgar and Delius. Click here to shop from Morning-Star. For additional information on unpublished transcriptions, please visit the ‘Transcriptions’ page. RACHMANINOV PIANO CONCERTOS 1 & 2 for Piano & Organ! Nigel Potts & Jeremy Filsell, pianist, offer a unique duo concert program featuring Rachmaninov’s ever popular Piano Concerto No.2 in C minor or Piano Concerto No.1 in F sharp minor. The concerts (with Nigel performing his orchestral reduction on the organ) also includes Nigel's own transcriptions of Rachmaninov's Vocalise. To watch a concert of them performaning Rachmaninov's Second Concerto, click here. © 2009-10 Nigel Potts. All rights reserved. Site by JeliNet.